Happy Summer, Delaney-supporters! 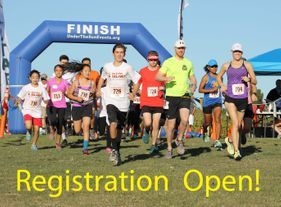 Time to register for our 6th Annual Do It For Delaney event on Saturday October 13th at Quarry Lakes in Fremont. Back by popular consensus, it will include a 10K and well as the 5K, All-Abilities Kids Race and Family Fun Zone. Professional chip timing will be provided by Under the Sun Events. We look forward to seeing all our previous participants and welcome first timers. Come get to know us, and meet a little girl whose spirit is bigger than her disabilities. Proceeds from last year’s event funded an intensive summer therapy program where she worked on not crossing her leg when she walks, stepping up and down & strength training. (Check out the Do It for Delaney Facebook page). If you are not able to join us in person, please consider a tax-deductable donation to help Delaney, Friends of Children with Special Needs, The Parker Lee Project and Conductiva. 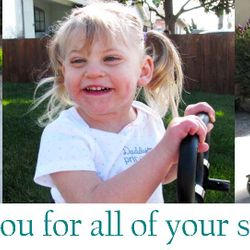 We extend our heartfelt gratitude for all you do for Delaney! Do It For Delaney is a community event for runners, walkers, families and friends to help special needs children. Do It For Delaney was originally created to raise funds for uncovered therapy costs for Delaney Thomas. 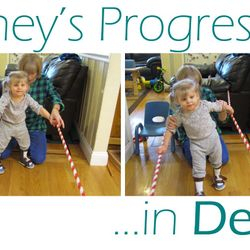 Delaney was born with an extremely rare genetic CASK gene duplication resulting in microcephaly and cerebral palsy. Due to the community’s overwhelming support, Do It For Delaney has turned into a much larger event helping special needs children and their families. 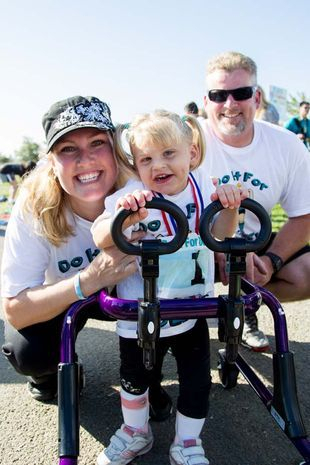 On October 13, 2018, we are holding our 6th annual “Do It for Delaney” 10K, 5K and Kids All-Abilities Fun Race at Quarry Lakes Regional Park in Fremont. We are excited to announce that Conductiva, a conductive education learning program, Friends of Children with Special Needs, a Bay Area resource for special needs families, and The Parker Lee Project, supporting medically dependent children will benefit from Do It For Delaney 2018. Thank you to Richard Plasch, DDS, the presenting sponsor for Do It For Delaney 2018!